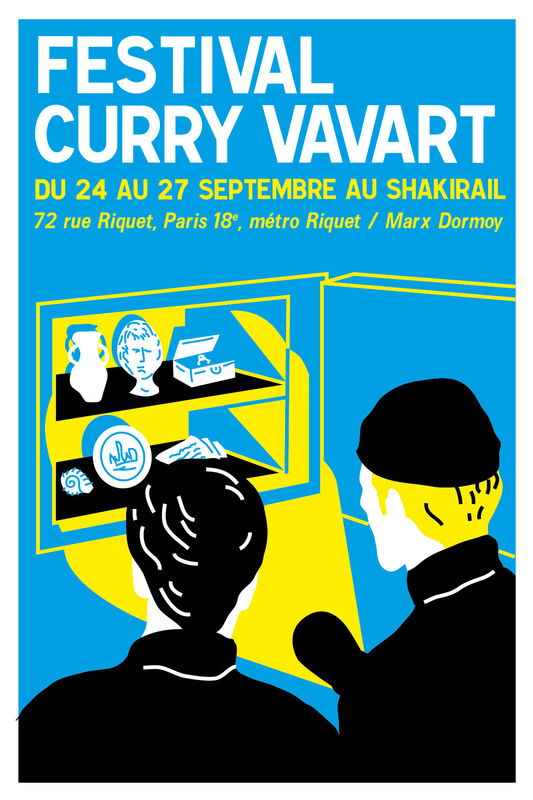 I am honored to participate in the 3rd edition of the Curry Vavart Festival! 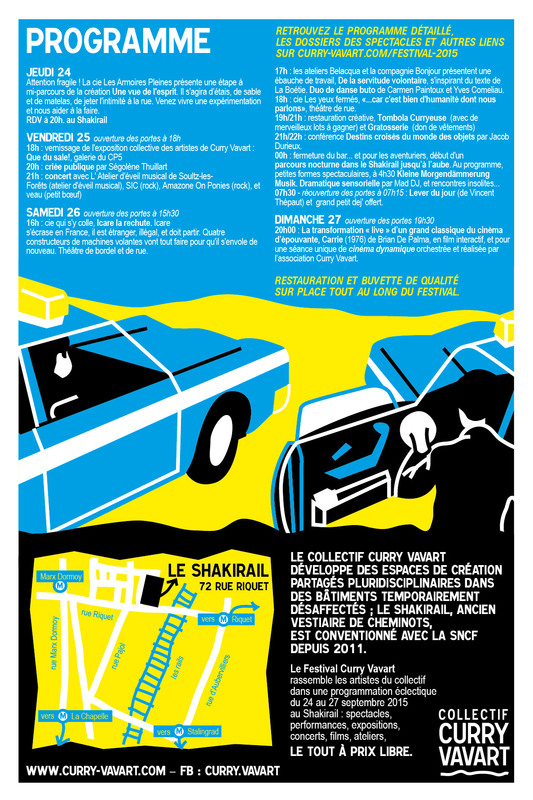 We have planned exhibitions, concerts, food, comedy, interactive cinema, conferences, and even a mysterious night for the strong of heart to spend "trapped" in the art studios where our spectators have beautiful and curious suprises awaiting them around every corner at the Curry Vavart studios. The performance collaboration with Tituptöne Cécile Germain on my series "We on the Horizon" will take place on the night of the 26th, every half hour between midnight and 2am. A video piece titled "MILK" that I worked on this summer with Amanda Athena will be exhibited in "Que du Sale," an exhibition curated by Elsa Foucaud. The exhibition is open from 25/09/15 to 11/10/15.